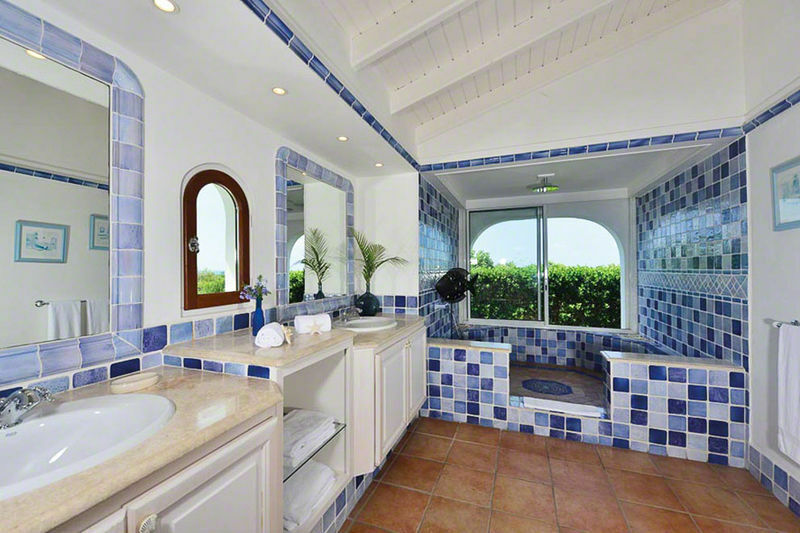 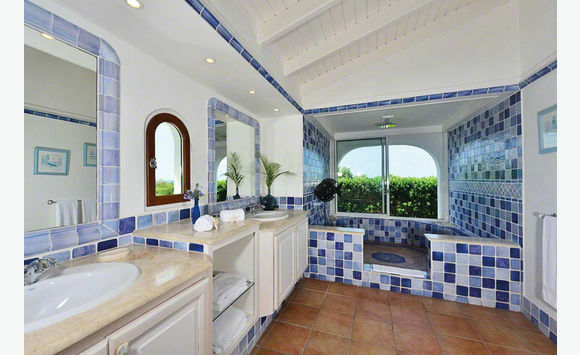 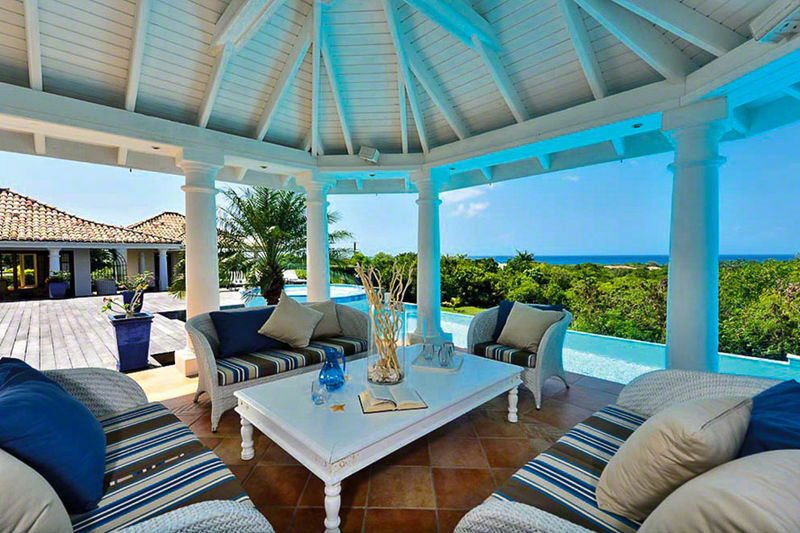 Luxurious ocean view, Blue Passion villa, consist of 4 bedrooms and 4. 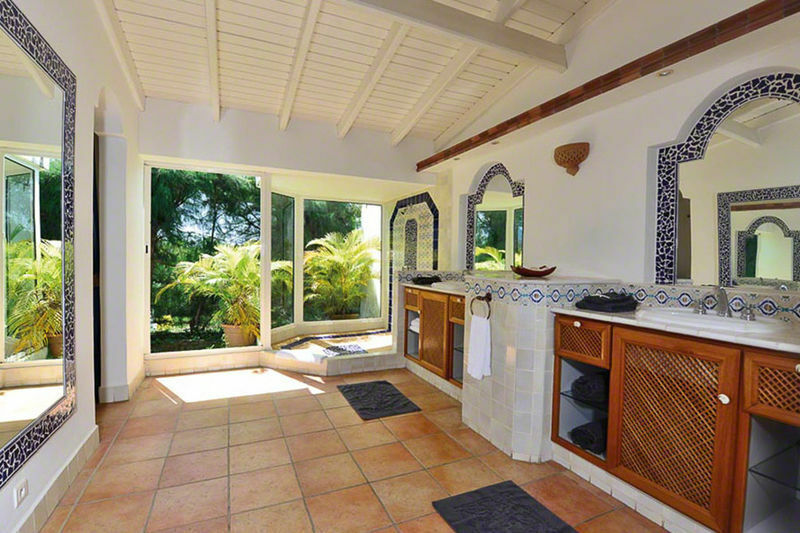 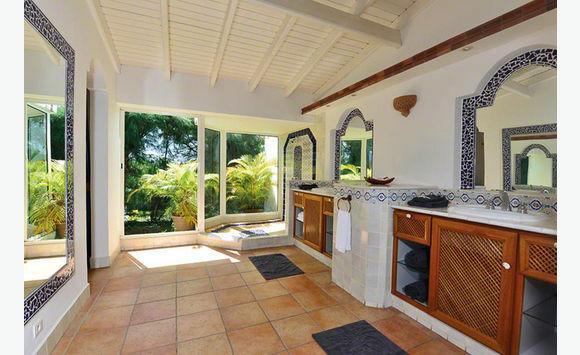 5 baths with a stand along cottage on the property ideal for a guesthouse. 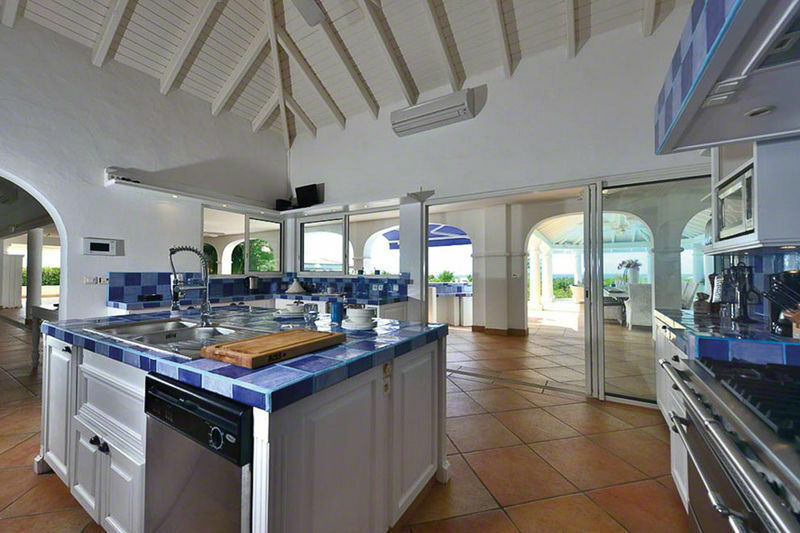 Well sited on 2 acres of land in exclusive community of Terres Basses. 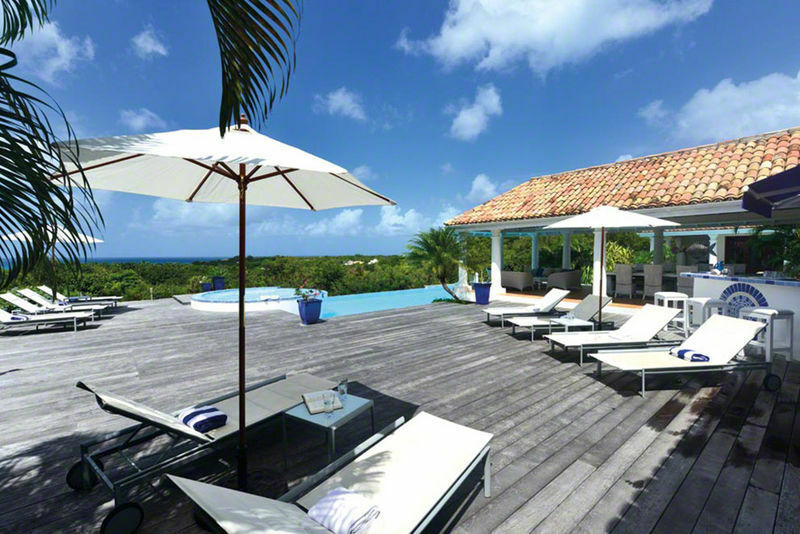 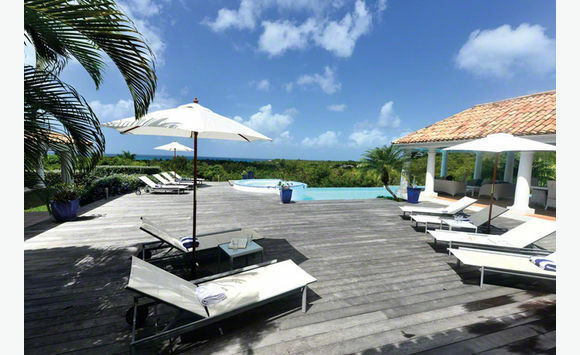 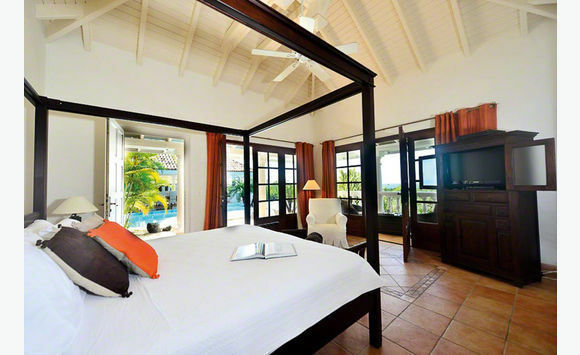 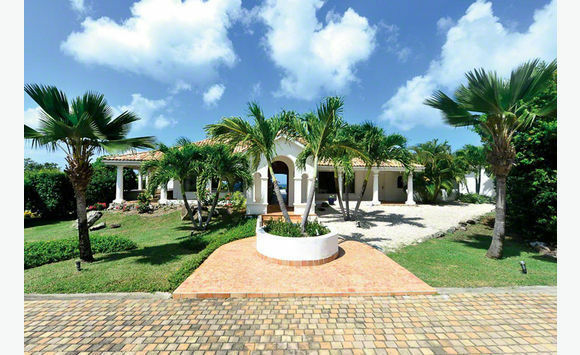 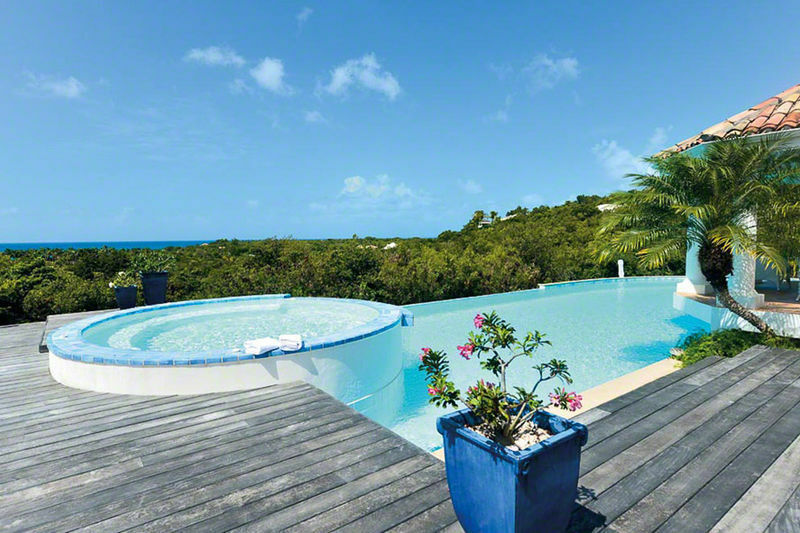 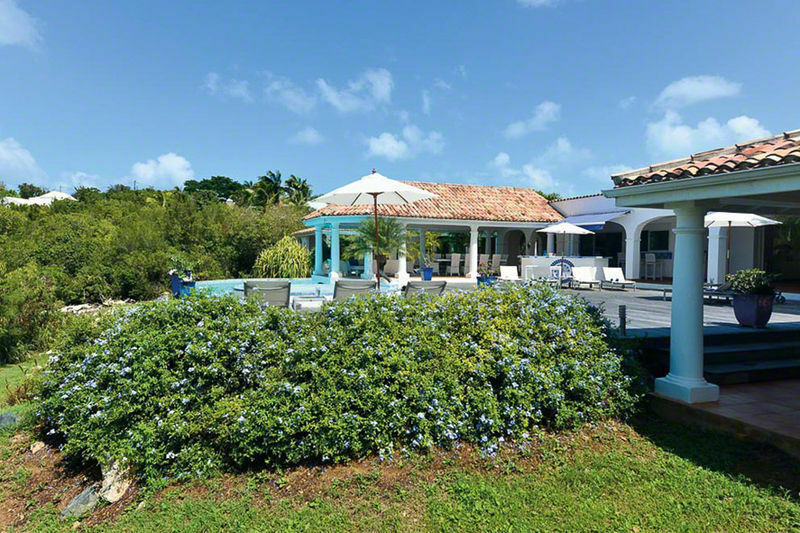 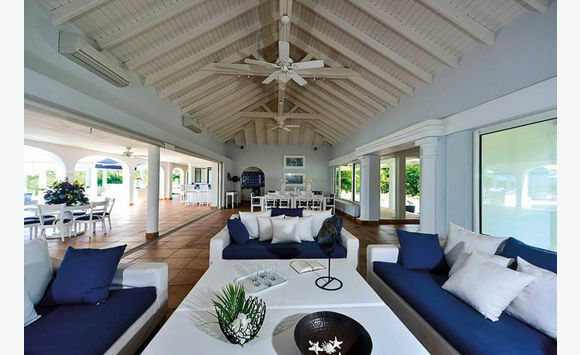 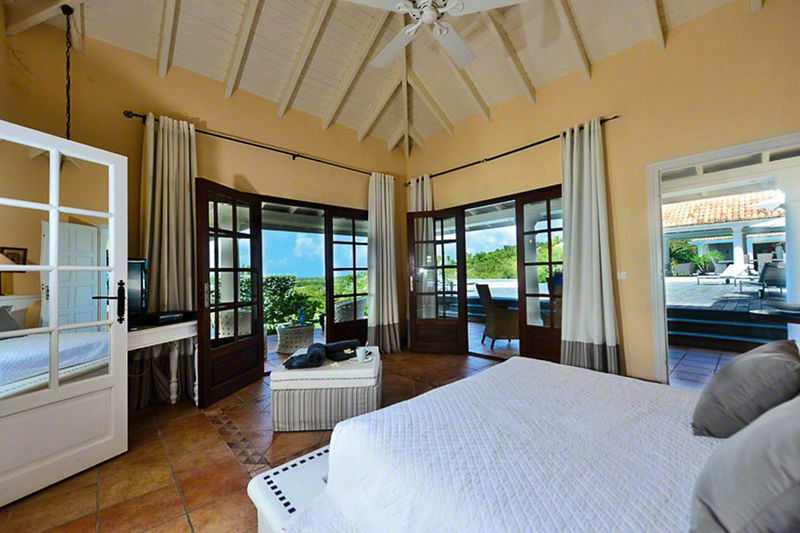 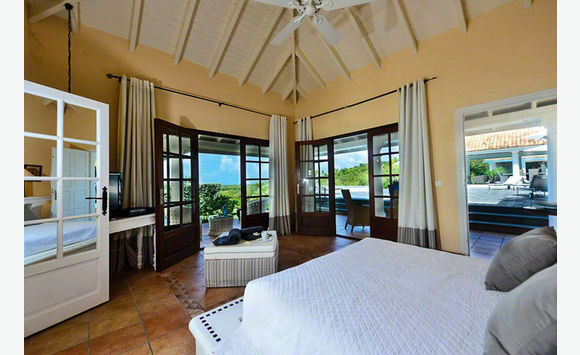 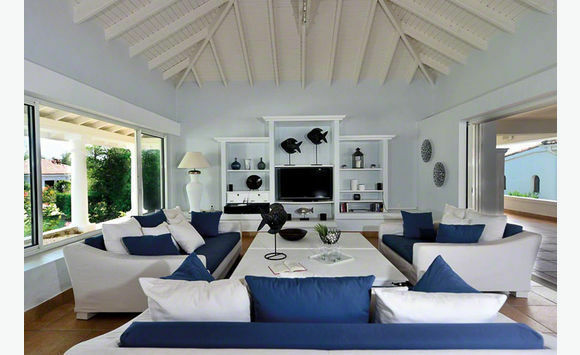 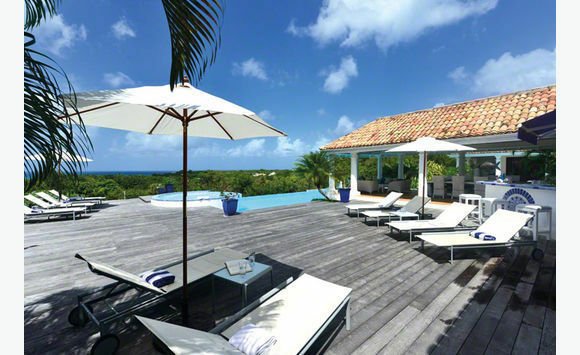 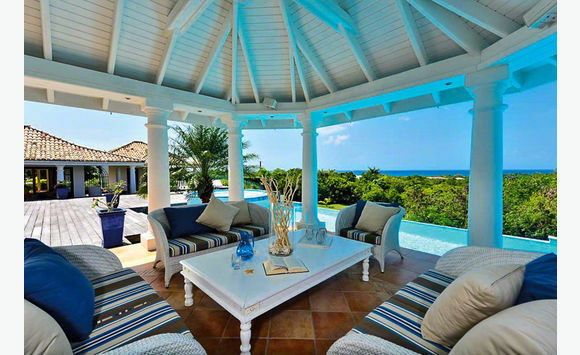 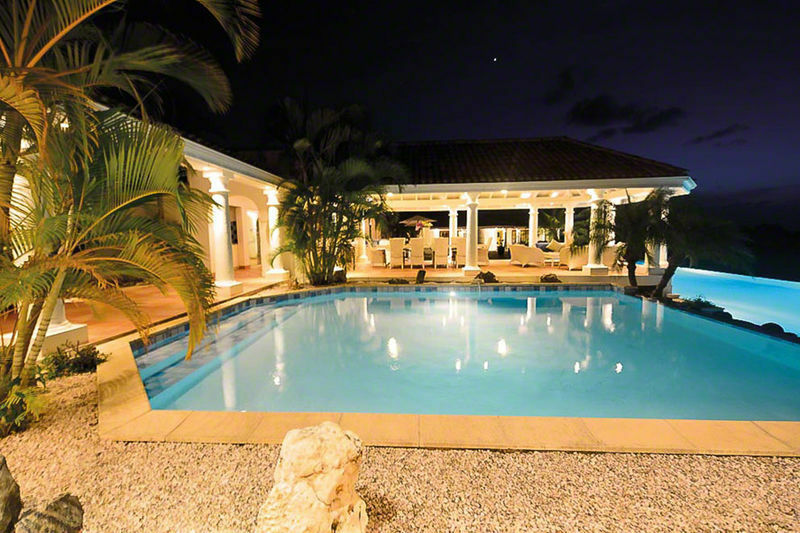 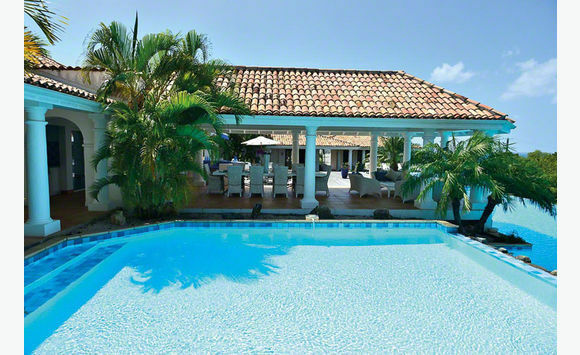 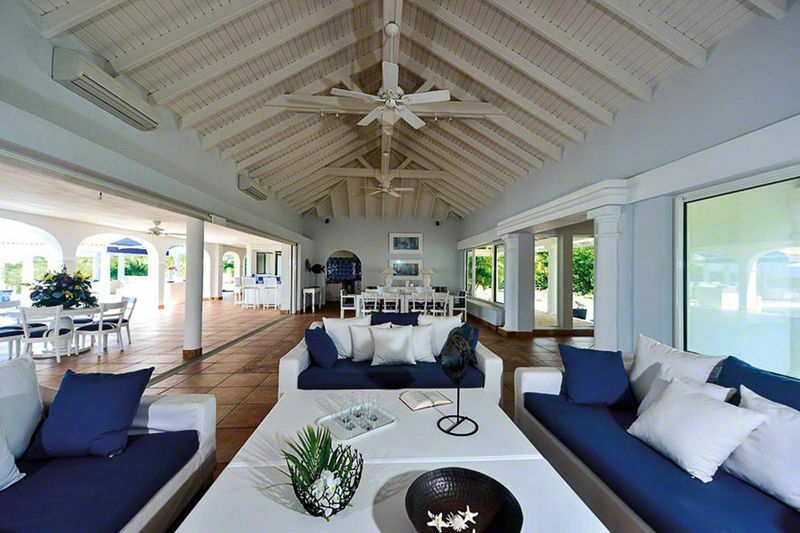 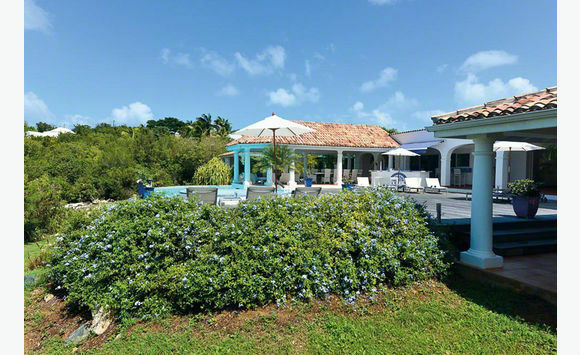 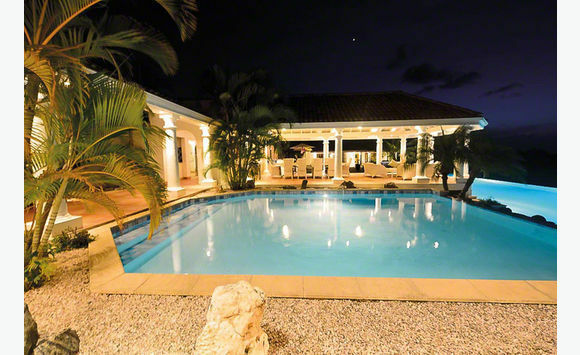 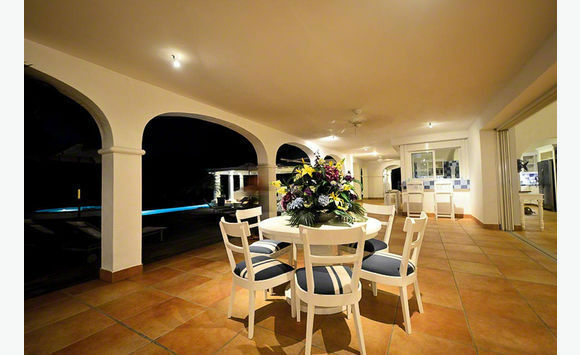 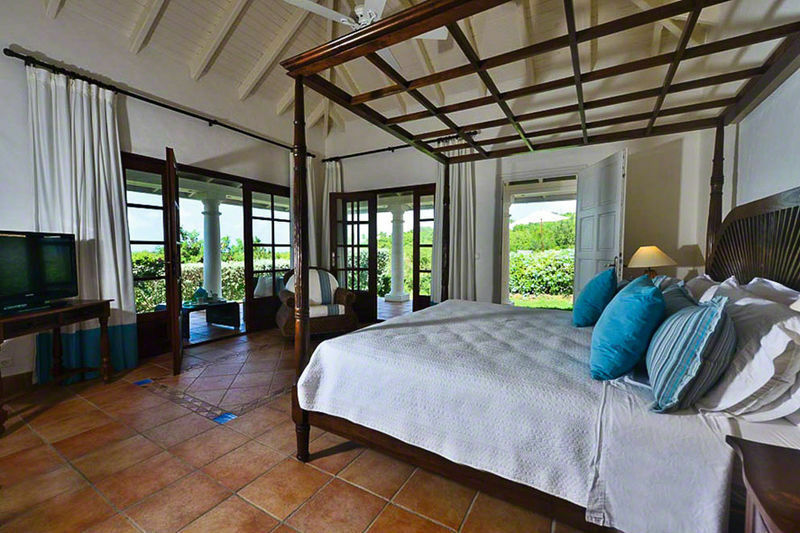 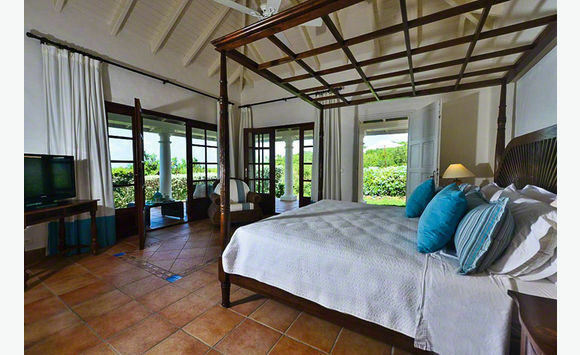 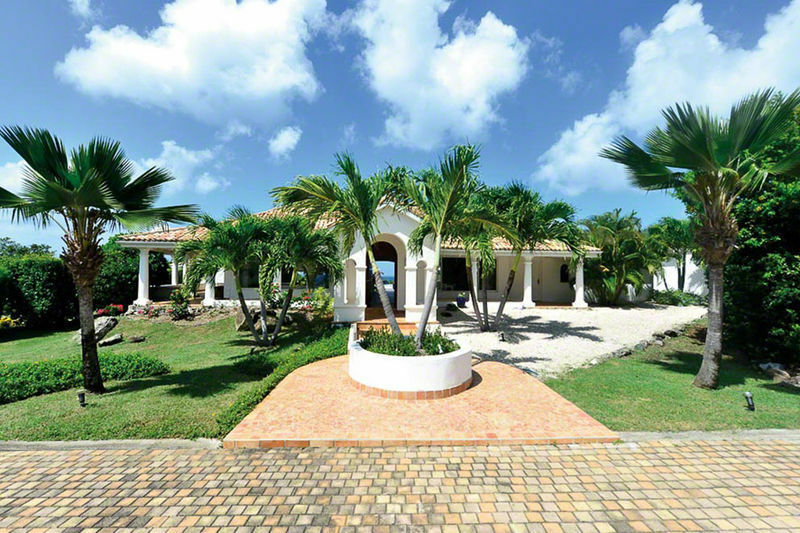 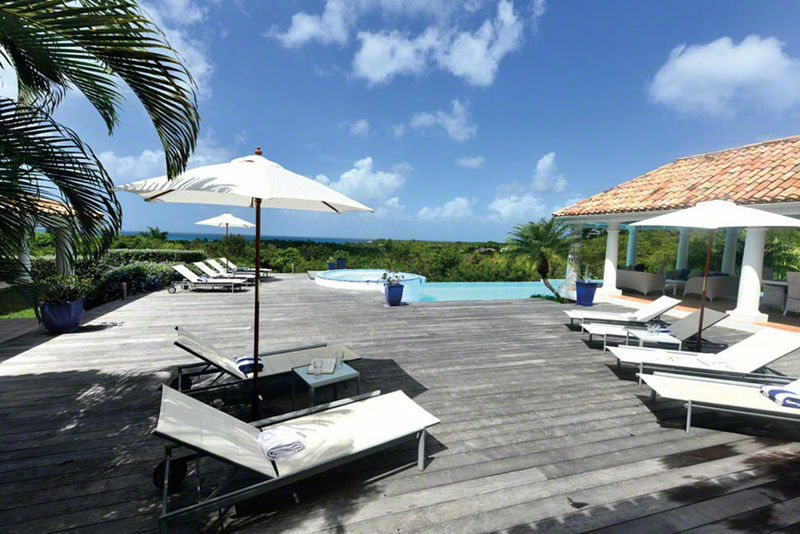 The villa has a stunning view of the Plum Bay with is in walking distance 0f 5 minutes. 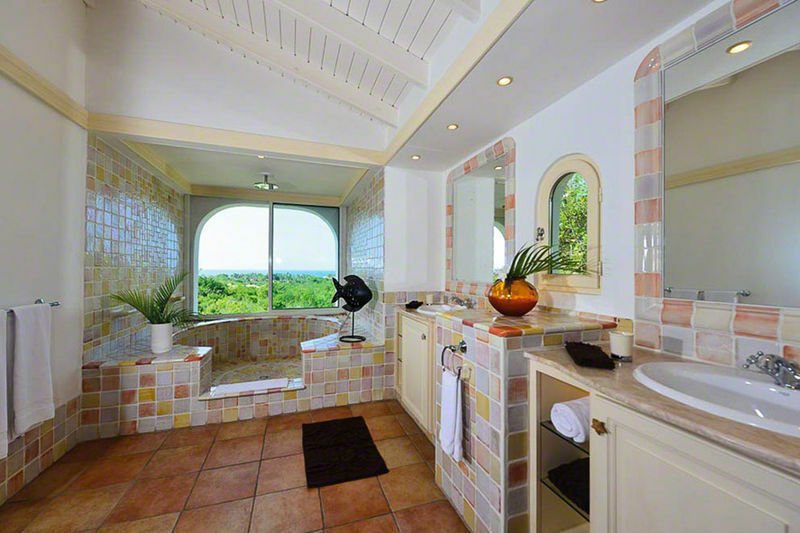 A Jacuzzi for your pleasurable enjoyment and relaxation. 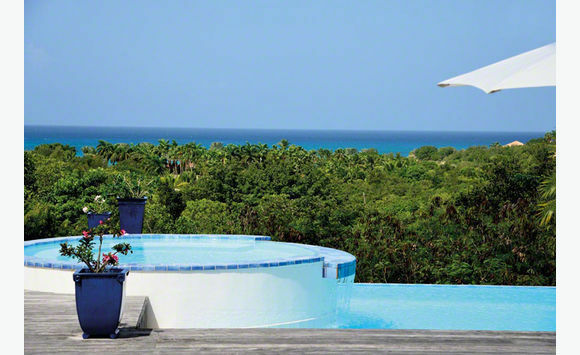 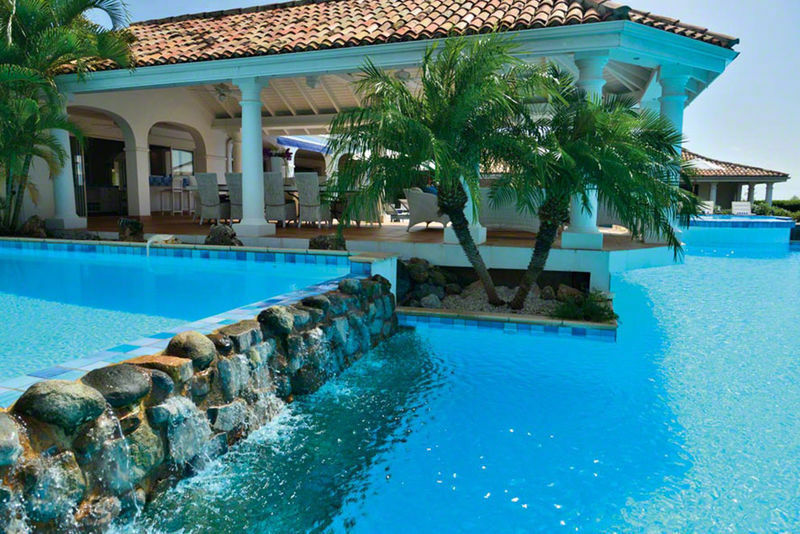 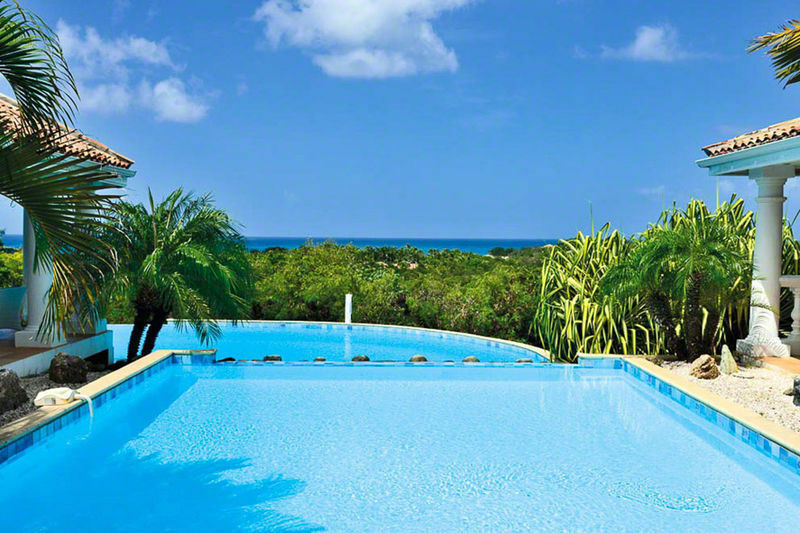 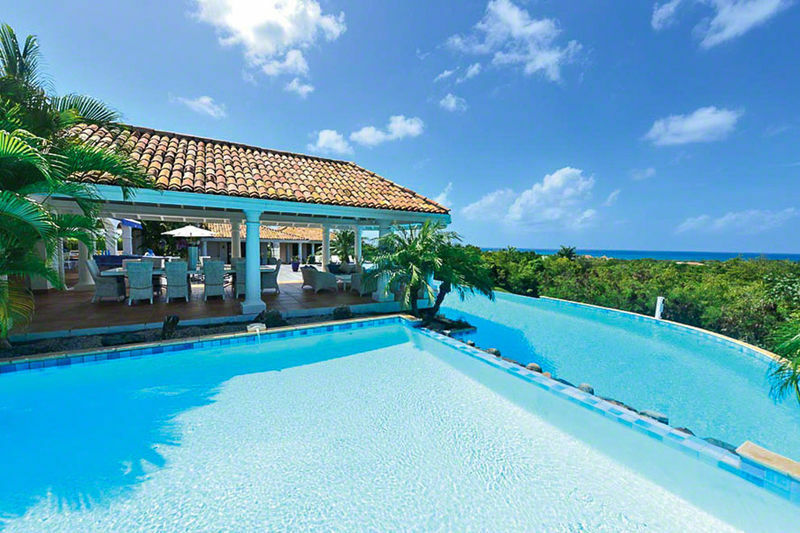 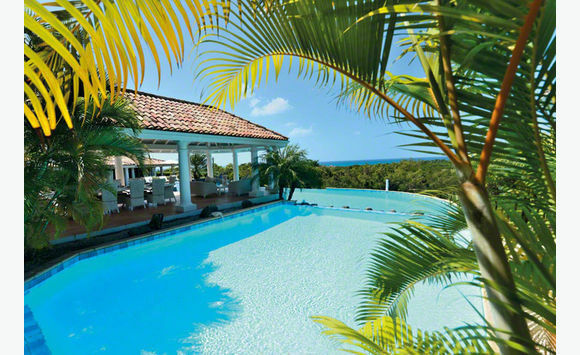 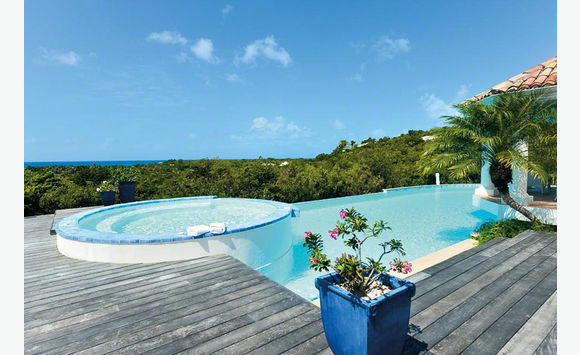 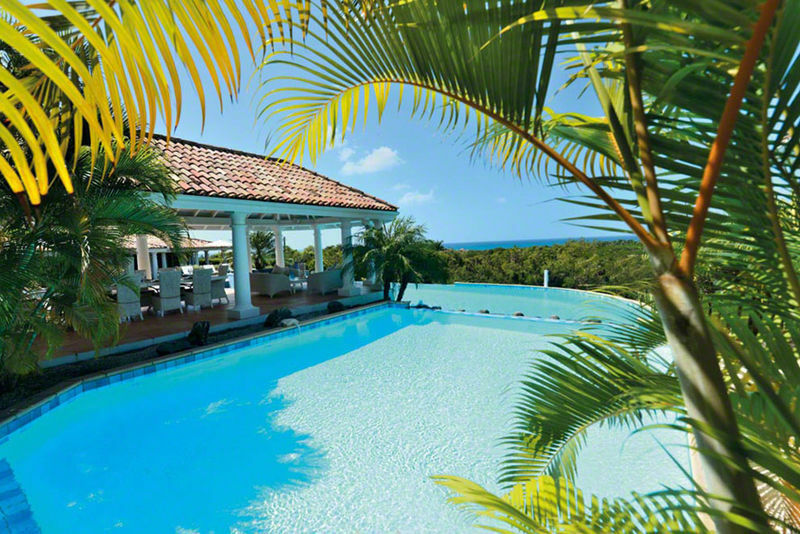 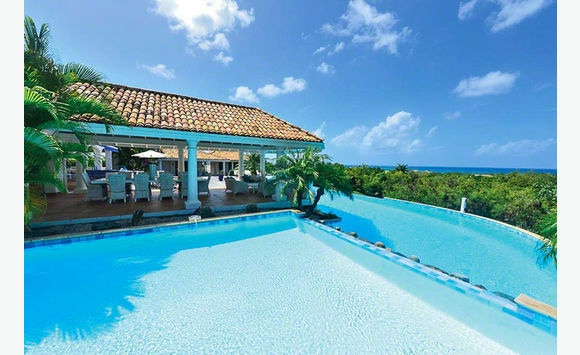 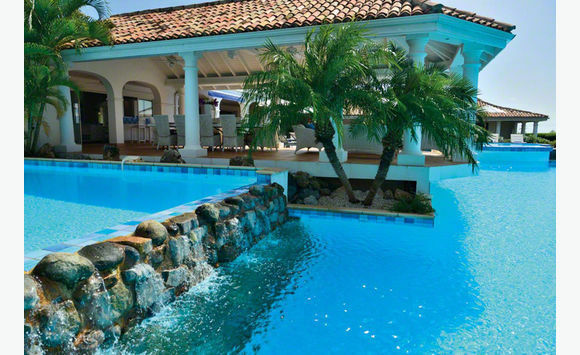 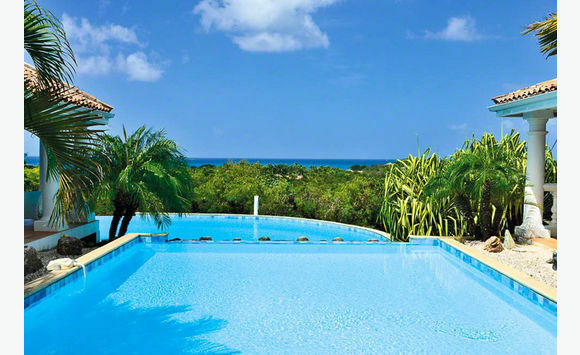 The double infinity private pool is magnificent with great terrace and pool bar. 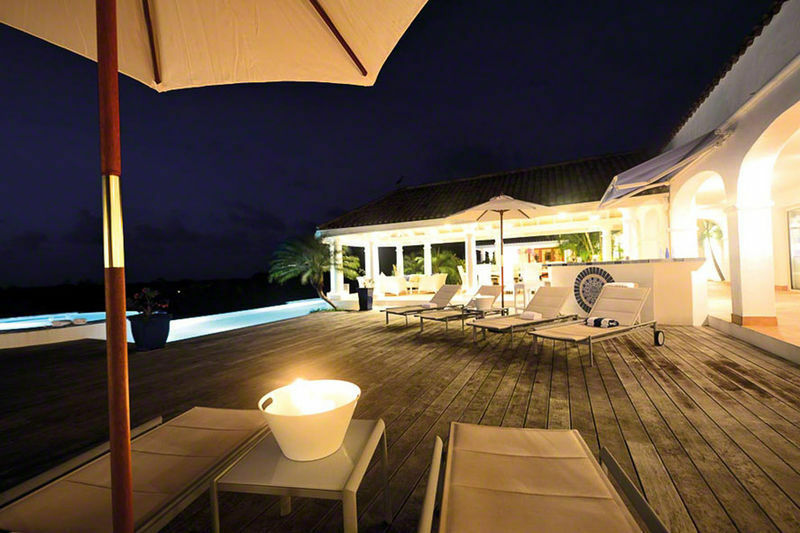 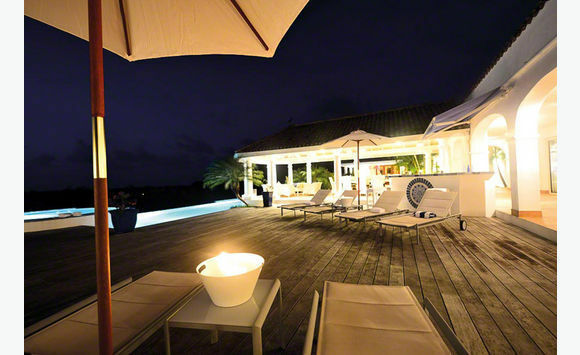 Lounging and sunbathing on the huge terrace is very relaxing also perfect for entertaining friends and family. 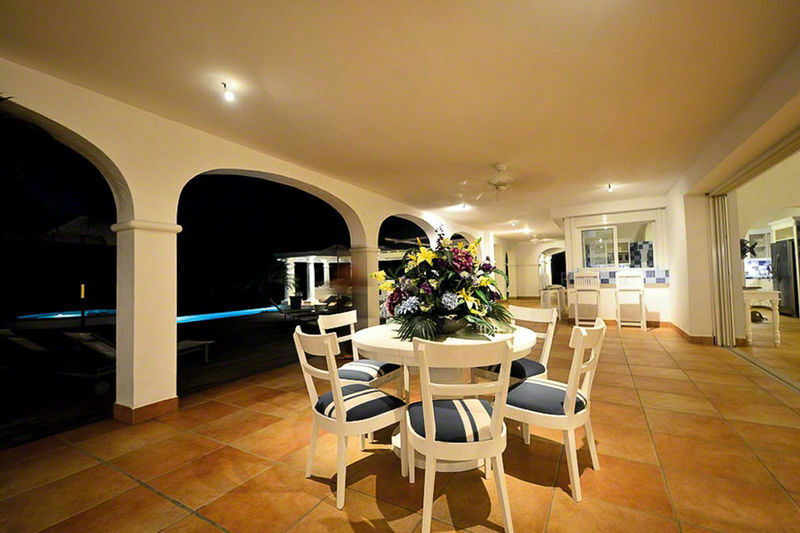 An open concept living and dining space with a fully equipped kitchen. 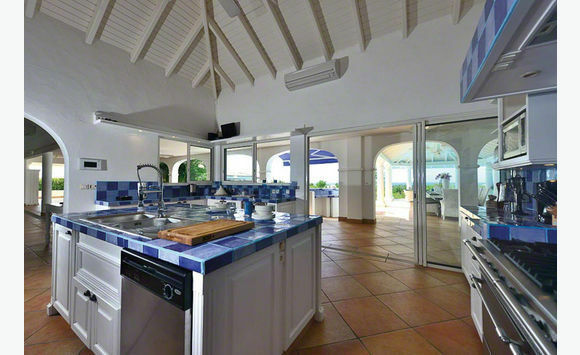 State of the are appliances with an amazing island/ breakfast bar. 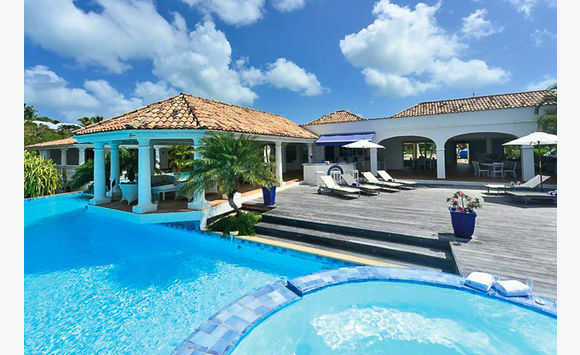 Which opens unto the terrace. 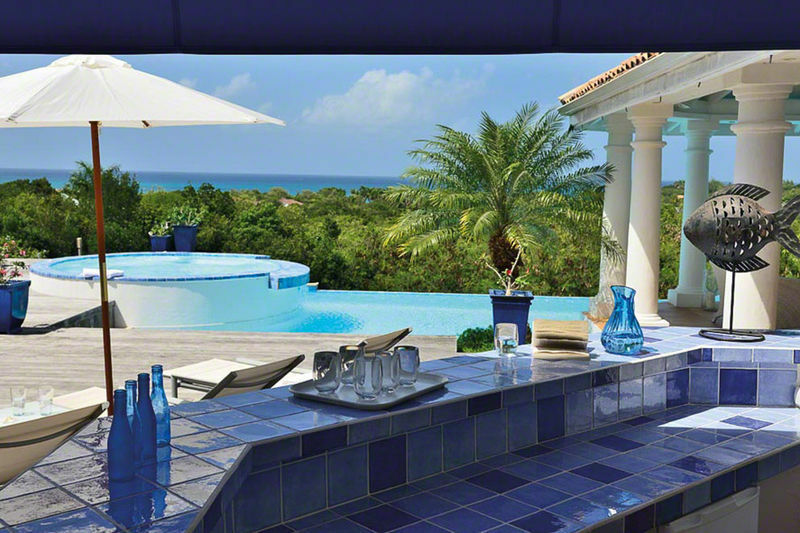 Spend your warm days in the covered well patio with a chill beverage enjoying the panoramic view. 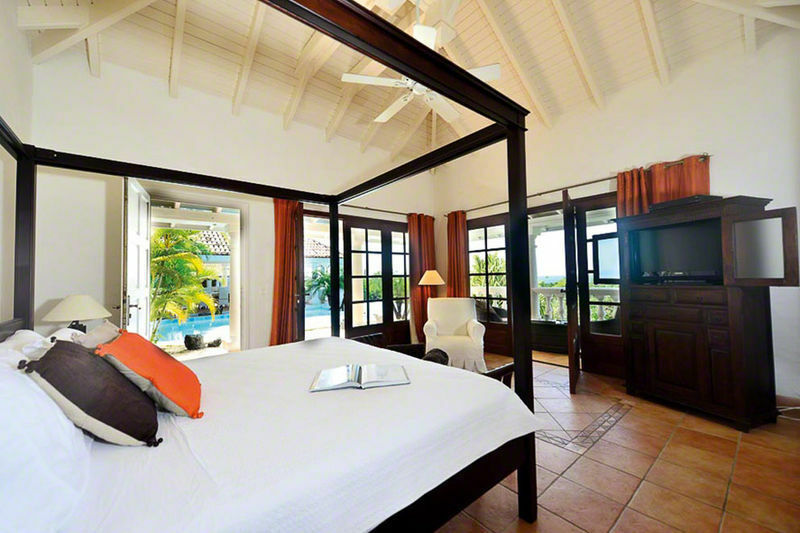 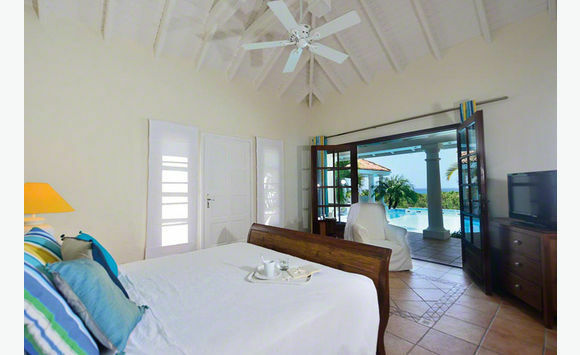 The bedrooms are the size of master bedroom and all independent with full size bathrooms. 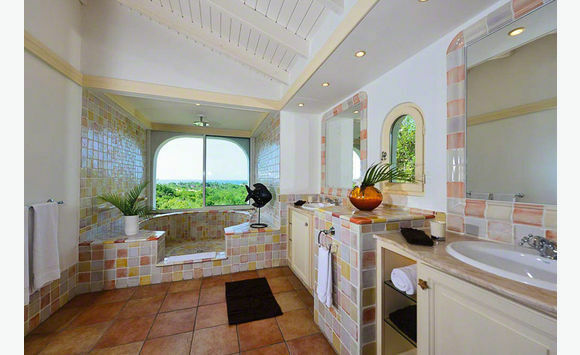 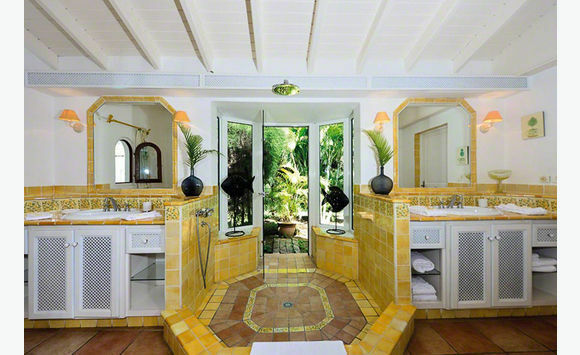 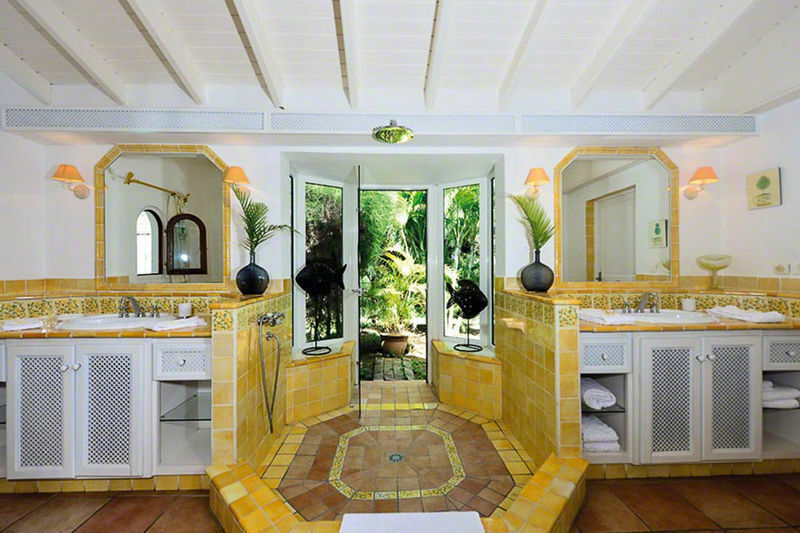 Each room is beautifully decorated and the baths a uniquely design. 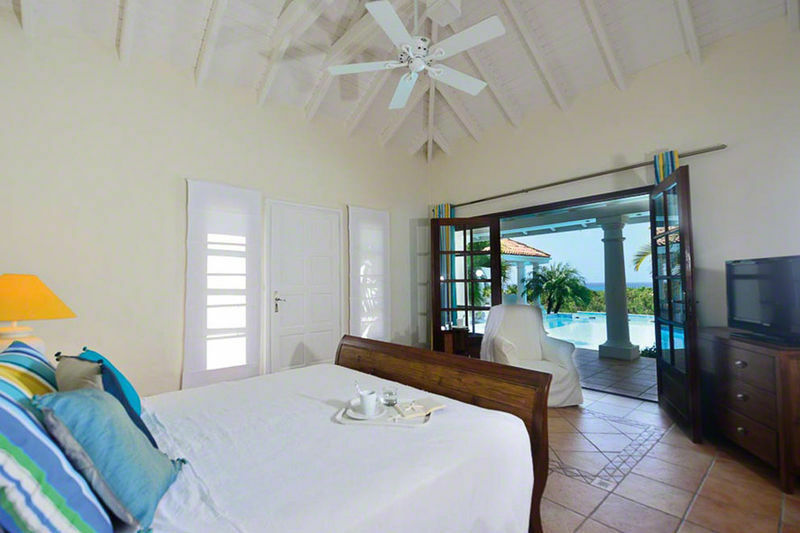 Fully air condition with added ceiling fans for you convince and comfort. 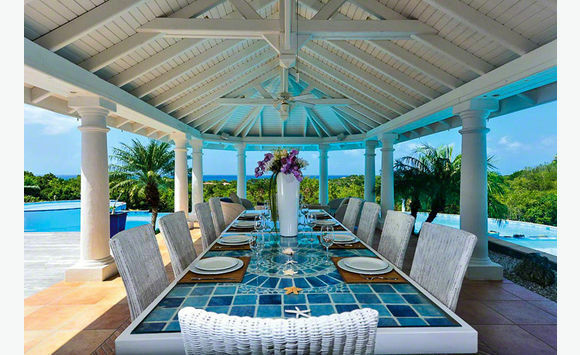 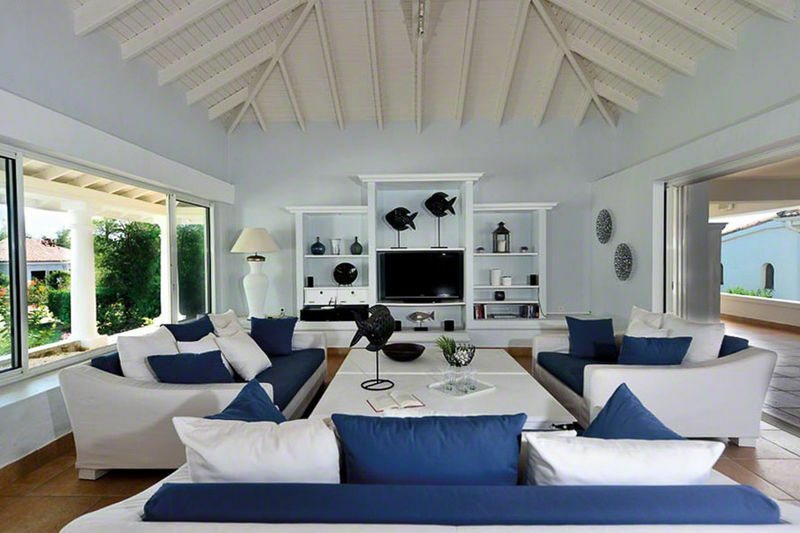 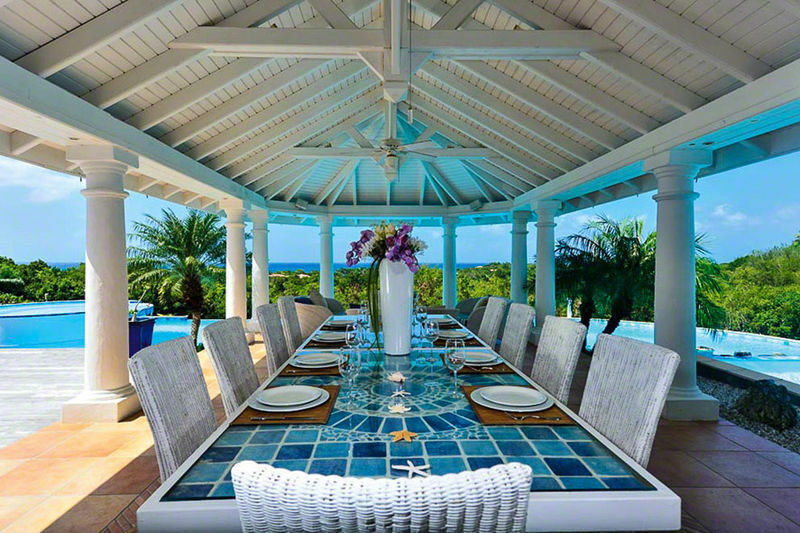 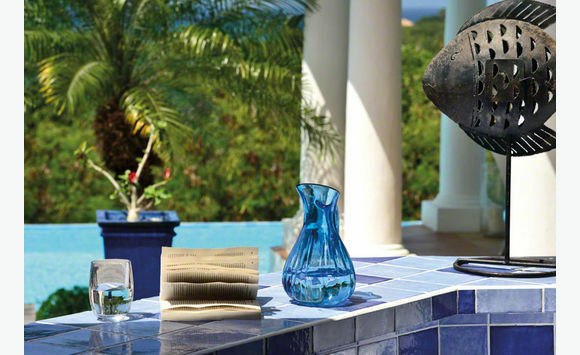 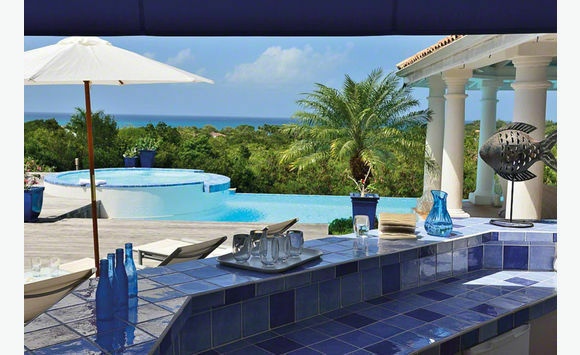 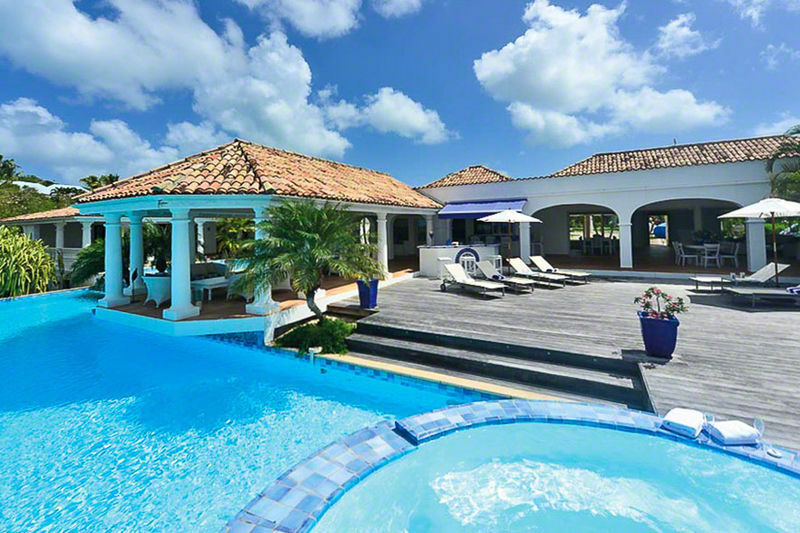 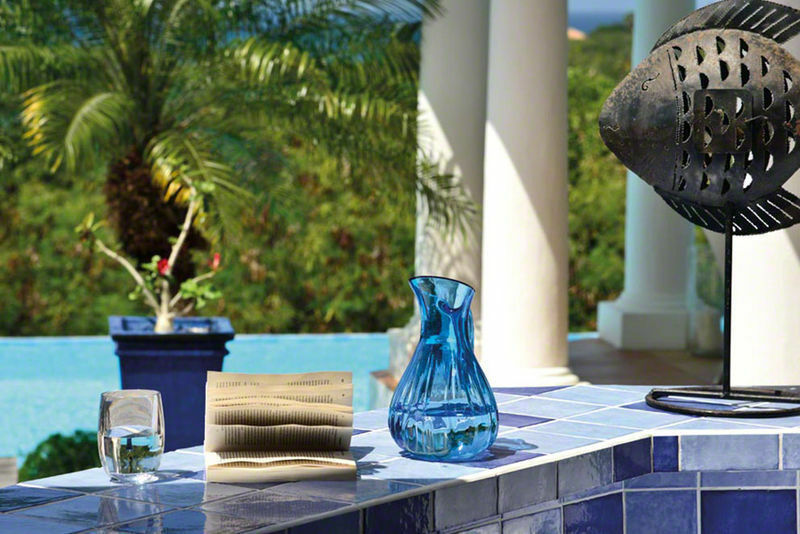 Blue Passion villa is very private and secured. 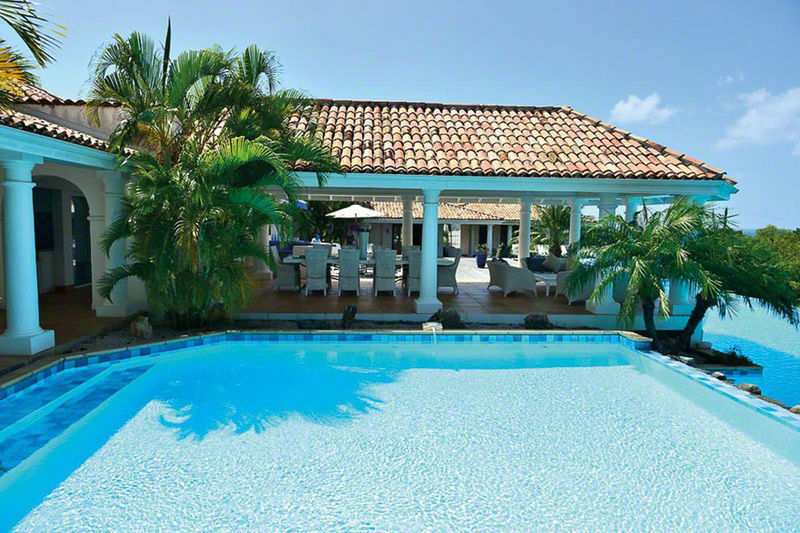 Terres Basses is a gated community with 24/7 security. 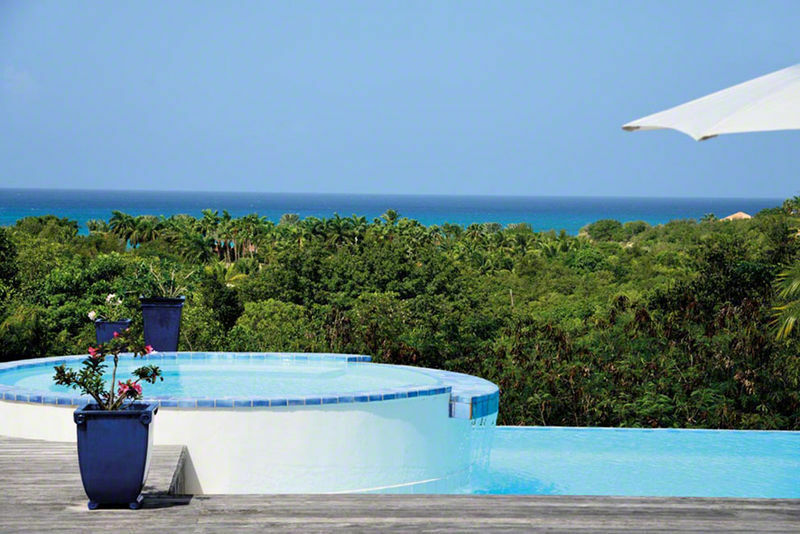 Access control with security guards.